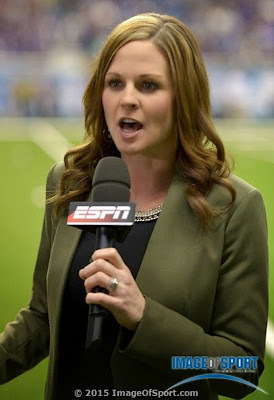 ESPN's Shannon Spake works the sideline at Friday's Alamo Bowl in San Antonio, which was won by UCLA, 40-35, over Kansas State. Image of Sport chronicled the game and you can view the complete gallery by clicking here. Auburn had not defeated a ranked nonconference opponent on the road in 30 years (Florida State in 1984), but the No. 5 Tigers got the job done Thursday night with a 20-14 victory against No. 20 Kansas State. Wiz correspondent Greg Laughlin made the trip to Manhattan, Kan., and shared these images. Wiz correspondent Greg Laughlin's journey continued Saturday with a trip to Lawrence, scene of the Kansas State-Kansas game. The Wildcats brushed aside the Jayhawks, 31-10, leaving Charlie Weis with a two-year record of 4-20. That's one victory shy of Turner Gill's 5-19 two-year mark that led to his firing in 2011. But Kansas athletic director Sheahon Zenger announced Sunday that Weis wasn't going anywhere — except recruiting. We've said it before and we'll say it again: Kansas will be talking about that trip to the 2008 Orange Bowl 50 years from now. The Jayhawks, under the direction of Mark Manginio, not only earned a trip to a Bowl Championship Series game, they won it, defeating Virginia Tech, 24-21. Firing Mangino, obviously, was a big mistake. The good news for Kansas fans is that basketball season has started.